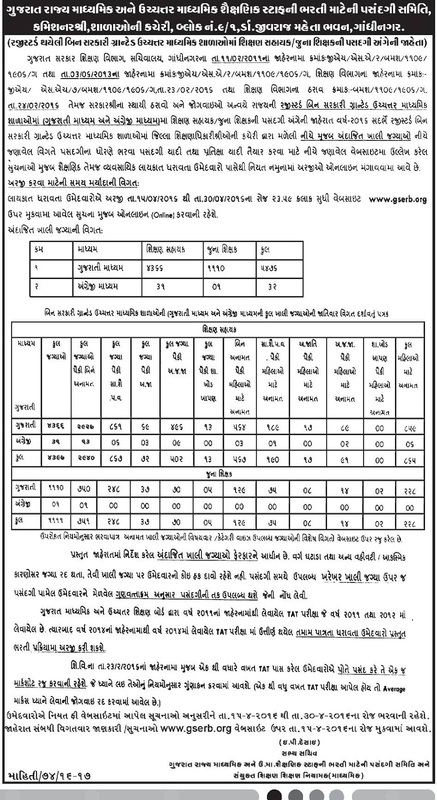 Gserb.org Teacher Recruitment 2016 Notification for 7863 Granted Secondary and Higher Secondary School Assistant Teacher (Shikshan Sahayak) Gujarat Secondary and Higher Secondary Education Board has published gserb teacher Recruitment Notification for filling 7863 Vacancy. Eligible candidates can apply online at Official Website www.gserb.org on or before last date 30-04-2016. More Details regarding Gserb Shikshan Sahayak Recruitment 2016 like Post Name, total posts, age limit, educational Qualification, application fees, selection process, how to apply etc are given below. GSERB ( Gujarat State Education Recruitment Board) Has Released Recruitment Notification For 7863 Shikshan Sahayak Posts. All Eligible And Interested Candidates Can Apply Online On Or Before 30-04-2016 . 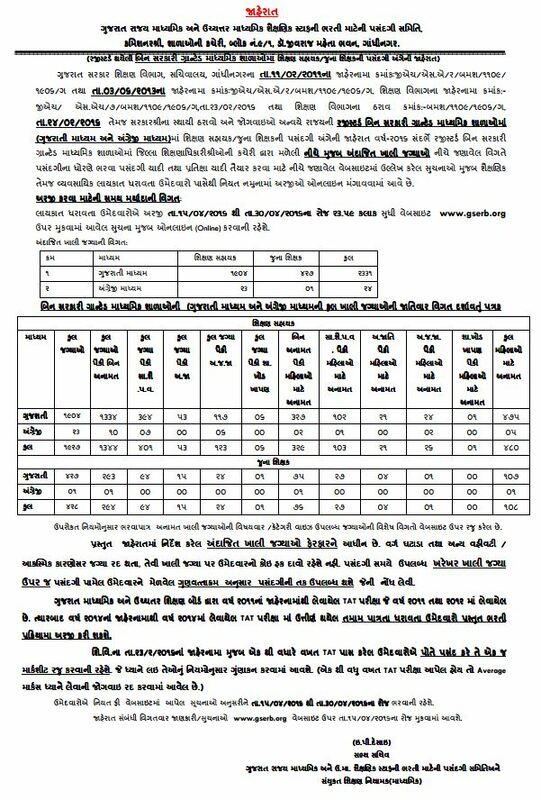 Further Detailed Information Regarding Educational Qualifications, Age Limit, Selection Procedure, Exam Pattern, Syllabus for GSERB (Gujarat State Education Recruitment Board) Recruitment 2016 – 7863 Shikshan Sahayak Post is mentioned below. Qualification & Age Limit – Please Read Full Notification for detailed information. How to apply for GSERB Recruitment 2016 : Eligible candidates can apply online through www.gserb.org before last date 30 April 2016.